It was late November 1980 when the small sideline business I owned, Cloud 9 Enterprises I.D. Systems, was asked to print for the second year in a row, a special 'invitation' type "backstage pass" for a local entertainment newspaper called the "Illinois Entertainer" and their eighth anniversary private party. While speaking to event producer, Floyd Dillman, and publisher, Ken Voss, agreed I was to be invited to join in the festivities of this private music biz party hosted by the IE. Soon afterwards I rousted up a date and prepared to go to this soirée of unknown celebrity. When we got there I quickly mingled to network on behalf of my backstage pass business, when I was approached by publisher Ken Voss. We shared a drink and some conversation with my date when Ken said ; "I've got someone I'd like you to meet...she'll love you". Not sure of what we were in for I asked "so who are we going to meet? 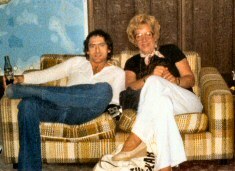 ", "Ken said; "Ma" Nugent, Teddy Nugent's mom". I told Ken, "now that's cool!, I don't even own a Ted Nugent album, He said, "She's not gonna care about that, I just think you gotta meet her because your such a crazy guy, and I know she'll like you. "O.K....let's meet her". As we were whisked across a crowded and noisy room of rock 'n' roll business types, and musicians of all sizes and shapes we finally came upon two motherly ladies jibber-jabbing away with whiskey sours and bloody Mary's in their hands. Ken boldly interrupted "Ma" Nugent talking to none other than Mrs. Belushi (Johns mom), I immediately felt a bit awkward as I was the reason for the interruption. "Hey "Ma" I want you to meet Eric Kinkel; he's our stage pass guy. She was so friendly and kind while greeting me and my date, we started to talk. Mrs. Belushi was quickly scooped up by other well wishers who sought her attention. 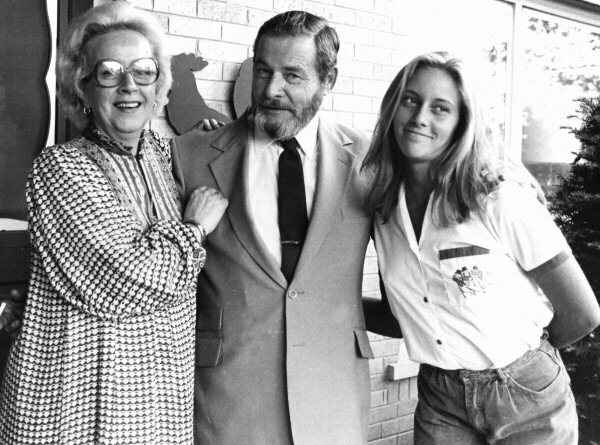 We talked about her column "Ma" Nugent's Mail, we talked some more about her travails with her son Ted. My date seemed genuinely thrilled to meet someone of such celebrity with whom she could feel so comfortable...that's just how she made you feel. Not long into our conversation "Ma" invited us to dinner at the Nugent household in Palatine, Illinois. I was flattered and befuddled at the same time. 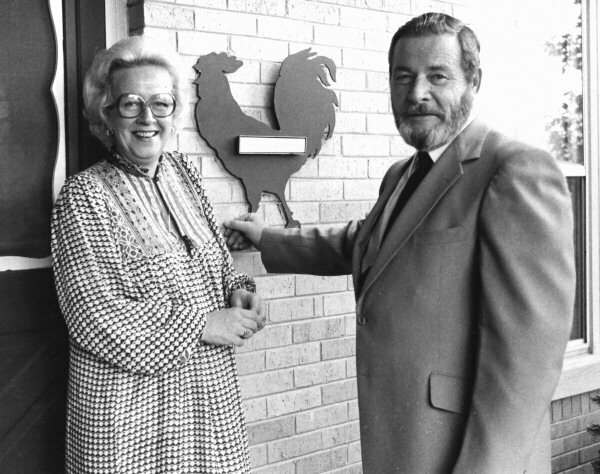 Upon our arrival at the Nugent household we were warmly greeted at the door by Mr. and Mrs. Nugent . Looking a bit confused, "Ma" had forgotten my dates name, and asked her, as if she were embarrassed.... alas I have thrown Mrs. Nugent off. The date I brought to her house was NOT the same date she met at the IE party a week earlier.... a sign of things to come. 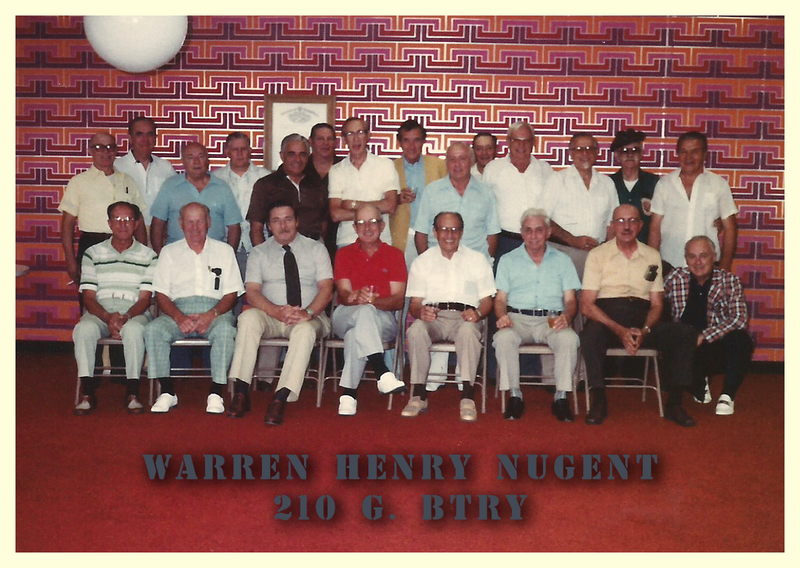 Warren Henry Nugent, Ted's father, took me aside and we talked about hunting and fishing, while "Ma" took my date around the house. After dinner we retired to the den to play some pinball on their Ted Nugent pinball machine, given to them by Stern, the Chicago based pinball machine company. We spent the rest of the evening talking and sharing stories "Ma" was equally interested in what my life stories were, as much as I was interested in what she had to share. Obviously fond of me and my date, she soon insisted that I stop calling her "Mrs. Nugent" and begin calling her "Ma" as everyone else did, much like family. As the evening ended "Ma" suggested we do this again. 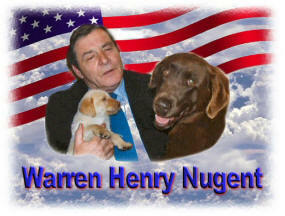 Again, I was flattered and befuddled, this time by the charm and graciousness of the parents of, all people, Ted Nugent. In the days to come "Ma" insisted I listen to Ted's music and become a fan. I had been singing in a local band already and I was familiar with Ted's music. 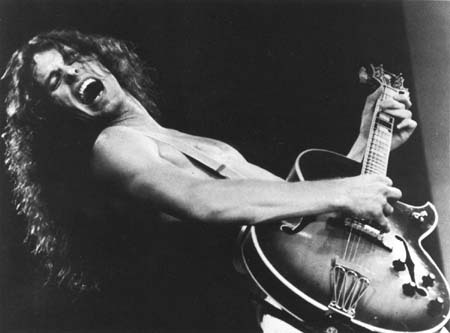 I also knew of his charismatic on - and off - stage antics, I just did not own any Nugent tunes. "Ma" gave me a promo copy of the "Cat Scratch fever" album. I recall up until that time, I had been into writing and performing more ethereal rock music such as Rush, Queen, and the Moody Blues etc. Though I had an appreciation for rhythm 'n' Blues-based rock 'n' roll I had not been exposed enough to it often enough to understand the soul behind it. That soon changed as I became more familiar with his music. 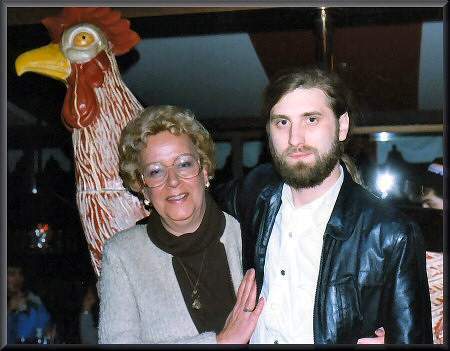 "Ma" would often call me and and say," how would you like to go see a band?" or "how about some dinner, or a game of poker?". 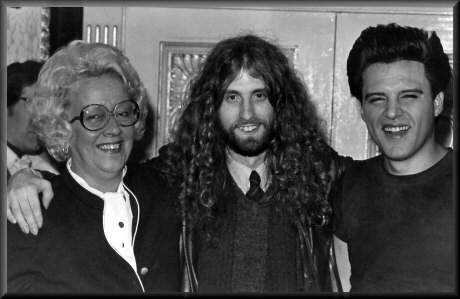 On occasion's she would call and ask me to come over to listen to rough cuts of songs Ted was recording. We would sit in her Bronco (a token gift from T) and listen. On several occasions we drove around in my car and listened to Ted's tape's on my kidney stone blaster vehicle stereo's. These invitations continued as I shared evenings not just with "Ma" and Warren, but with their many friends as well. To this day I still remain close friends with Jim Horst (now my website photographer), Ellen Moser (graphic designer), Dirty Dan Buck (of the Boyzz)... and many, many more.... thanks to "Ma" and "Pa" Nugent. Their reach far exceeded their friendships. In time I shared birthdays, Mother's Days, Father's Days, Christmas, and even a few Thanksgivings with the Nugent clan. "Ma" never missed one of my birthdays. She even conspired with one of my girlfriend's, at the time, to throw a surprise party for me at a club featuring local act "Stevie Starlight" whose act was not surprisingly one dirty song after another. I loved it !!! It was one of the nicest birthdays I can ever remember. Understanding that I was a family friend and an outsider, I always appreciated the comfort and charm of the values this mid-western family had to share with me. It became increasingly apparent to me that the entire family was raised in an atmosphere of love... and discreet discipline. I found that my own family experience was much the same, that my own Father and Mother mirrored the very values that came from this household. Though different, theirs was a varied acceptance of that which was open-minded and respectful of all things rock 'n' roll and all things relating to mid-western values. "Ma's" relationship with each of her siblings was unique unto itself. Though proud of Ted, she took an equal interest and pride in all of her kids individual lives. 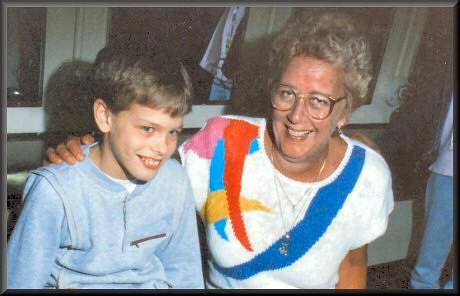 She was a grandmother who doted on her grandchildren and never missed an opportunity to share those things with everyone she knew. No one was an exception. At times I felt I was a part of the family. 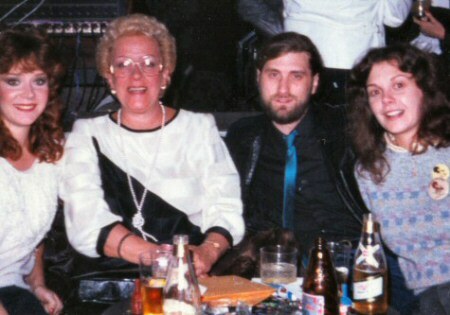 We would often meet up with "Ma" and Warren for things such as weddings, or having other friends over for dinner or going to see concerts, local bands, etc. I was always welcome into this circle of friends no matter what the situation was. I was friends with her friends...and vice versa. She even attended a few parties which I threw. She was an extraordinary friend to all who knew her. It was that simple. 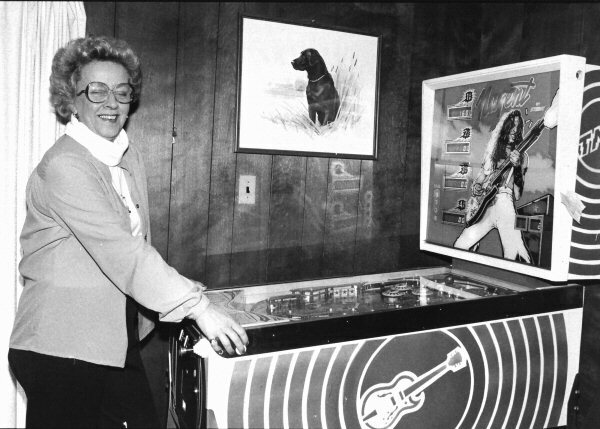 Never at a loss for words to describe what her sons music meant to her, "Ma" would gladly tell you names of songs, especially those that were her favorites, and even play tapes of Ted's music whenever she had the chance. As if she realized, early on, that her patronage of the local rock scene was a catalyst to being regarded as the proverbial rock 'n' roll mom, "Ma" always seemed to take it light heartedly. I think she truly enjoyed going out and seeing her favorite local bands, and she usually reported her experiences to Ted recounting the 'fun' she had the night before. 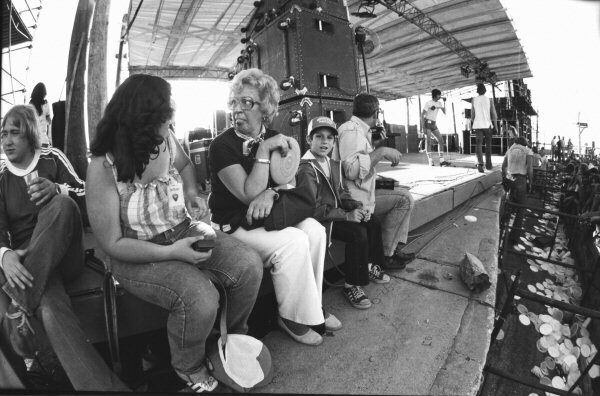 Throughout the years, many times I accompanied "Ma" to see a variety of concerts; it was always a thrill for me. Before the show "Ma" would usually trying to "fix" me up with some "chick", if that didn't work out, I would find a date and bring her along to the show. "Ma" was always courteous and friendly with whom ever accompanied me. I remember one thing that was for certain. If you were to be sitting close enough to "Ma" during one of Ted's performances, you always got your arm clinched by her gripping hand. Grasping the thrill of the uproarious crowds and the pending onslaught of Ted's unusual and outrageous openings. You could literally sense the "high on life" pride that was overwhelming her with the anticipation of the moment. Sometimes the date I was with got "the grip" and felt what I had been experiencing for many years. As the years went by I had the chance to see many well-known acts with "Ma", including: Billy Joel, Bob Seger, Journey, Kenny Rogers, John Waite, Hall and Oats, Willie Dixon, Koko Taylor, Survivor, Aerosmith, B-52s, Psychedelic Furs, Steve Dahl band, Souther - Hillman Blues band, The Boyzz, Kansas, Yngwie Malmsteen, Jon Bon Jovi, and many more. I remember each event as if it were yesterday, because there was always something that happened that made the evening stand out . "Ma" even arranged for me to take a friend (date) to see Jose Feliciano at the Blue Max in Chicago. Often we would run into celebrities and if I had a camera I would snap a shot to share with her column editor, if I didn't have a camera I would quickly try to find one in the house. 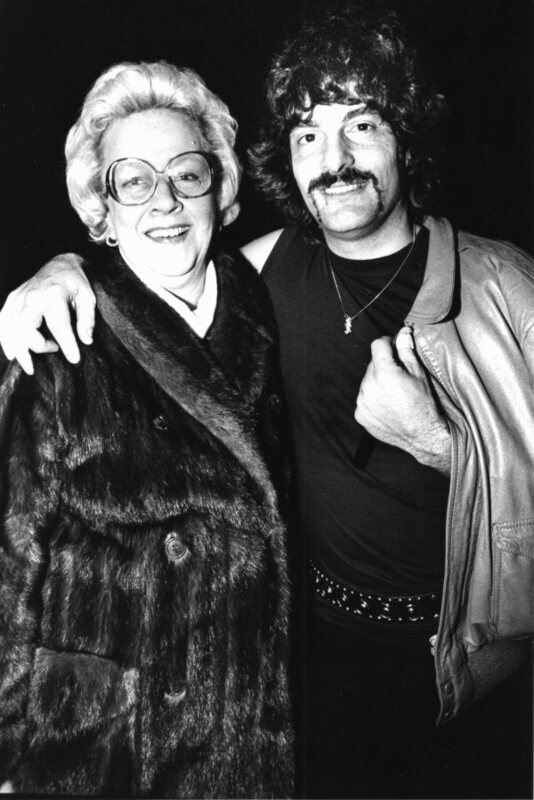 It was always fun to be with musicians of all kinds as they met "Ma" some for the first time and others who already knew her from running into her at Ted's shows or having previously met "Ma" at other functions. 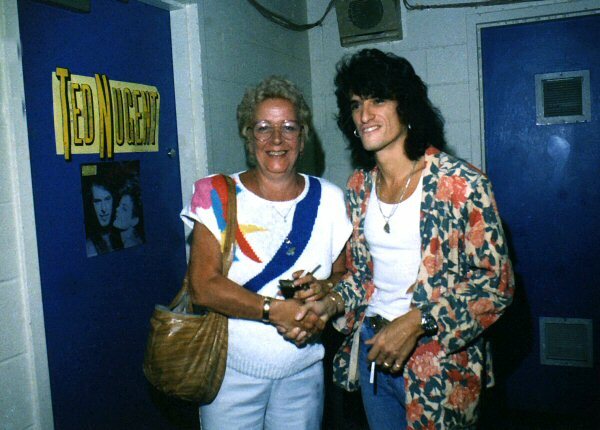 "Ma" was no stranger to some, and a friend to all who met her whether at a local club or at a well - known venue, those who met her were always thrilled to meet Ted's mom, as she imparted her thrill to meet them. "Ma" always had something good to say about you, your music, or had some inspiring thought to leave with you. She was truly the "Only" real rock 'n' roll Mom there ever was !.